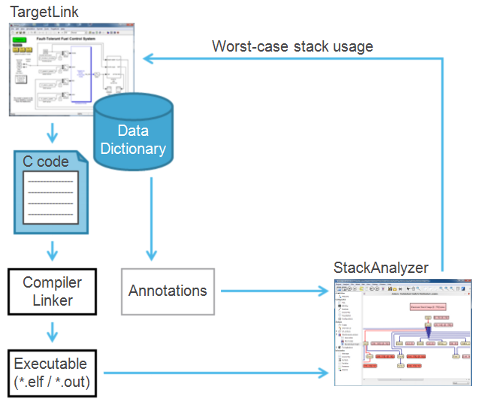 StackAnalyzer supports tight integration with TargetLink, the production-code generation tool from dSPACE. The automated flow between TargetLink and StackAnalyzer provides for a seamless integration into the de­velopment cycle. The maximum stack usage of each TargetLink root function can now be viewed directly in TargetLink. By making this implementation-level property visible at the modeling level, you can detect errors and bugs early in the development process, avoiding late-stage integration problems. 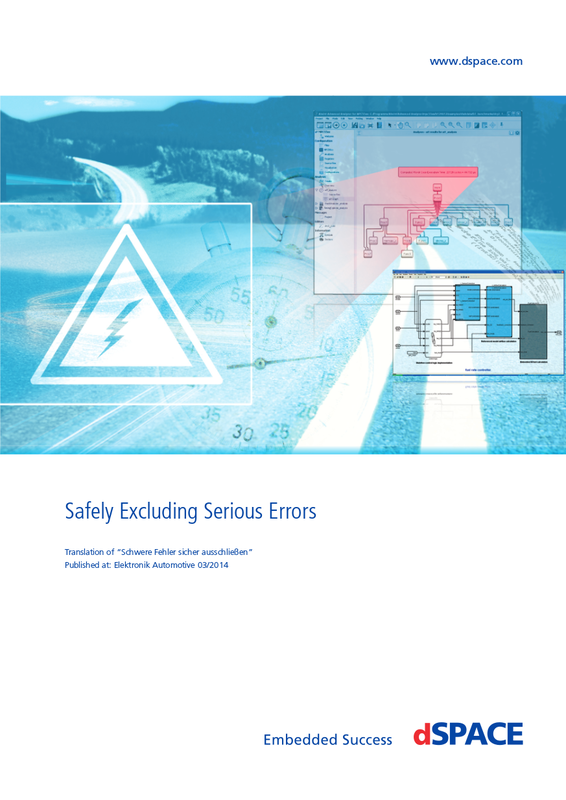 The static analyzer does not require the system under test to be executed on a hardware proto­type. Results are available quickly, no dedicated hardware is needed. The analyzer works on the generated code and provide full control and data coverage. This enables safe upper bounds on worst-case stack usage to be computed. 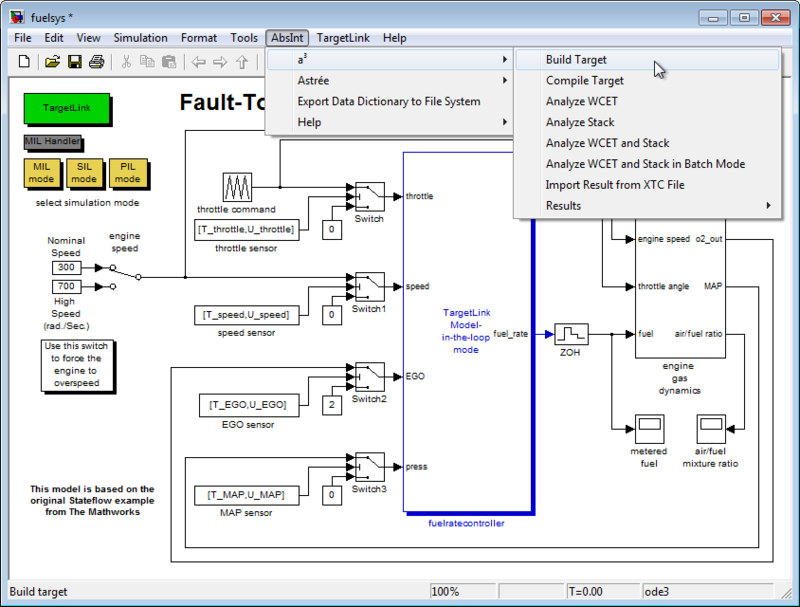 The static analysis can be invoked automatically from the TargetLink GUI and run in batch mode. This makes it easy to run an analysis after each model change, if desired. StackAnalyzer offers TargetLink integration straight out of the box. No additional packages need to be installed. You can evaluate the tool for free, on your own applications, for a period of 30 days.